Micro and small enterprises (MSEs) are becoming more optimistic about their business prospects, shows the latest round of the CriSidEx survey. The CriSidEx index rose to 128 in Q3FY19, the highest score since its inception. In comparison, the index was at 107 in Q3FY18. The improvement in the index over the previous quarter was on account of an improvement “in the order book size and employee base for manufacturing MSEs and an increase in profit after tax margin and employee base for services MSEs,” states the report prepared by Crisil and Sidbi. Firms in both manufacturing and services sector indicated an improvement, shows the survey. Among manufacturers, 42 per cent reported a "good quarter"; in the services sector 41 per cent claimed a "good quarter". 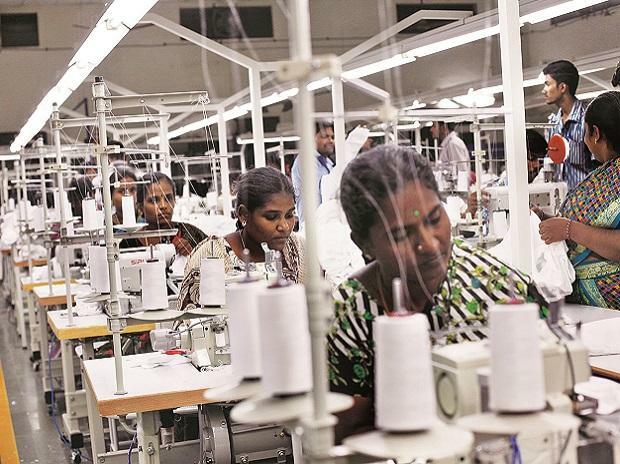 The granular analysis shows that in manufacturing, firms with an annual turnover between Rs 10 crore and Rs 25 crore were more positive about the business environment, and those the Rs 1 crore-Rs 4.99 crore bracket were the least optimistic. "Export-oriented MSEs fared better than their domestic peers, with 48 per cent reporting an increase in order book as against 41 per cent of domestic peers," says the report. This is the first time in the survey rounds that exporters have reported better quarters than domestic market-oriented units. Firms also appear to be optimistic about their prospects in Q4FY19. “For January-March, both manufacturing and services MSEs were optimistic of good business performance. Over 50 per cent of the respondents each from manufacturing and services expected the positive momentum to continue. In the manufacturing space, pharmaceuticals, gems & jewellery, and chemicals, and in services, professional services, traders, logistics and power & power utilities are the most optimistic," says Mohammad Mustafa, chairman and managing director, Sidbi. 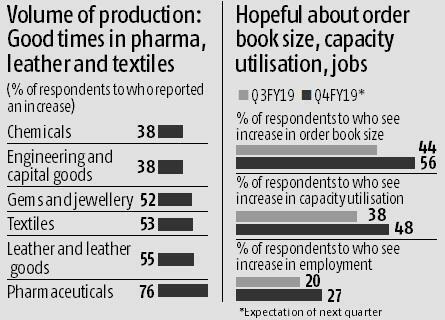 In the manufacturing sector, segments like pharmaceuticals, gems and jewellery, textiles and leather had a higher share of respondents reporting a good quarter; more respondents in the food products and auto components segments reported a subdued quarter. In the services sector, power and utilities, professional services and logistics had a higher share of respondents reporting positive performance, while construction, real estate and human resources had a greater share reporting a subdued quarter.